I don’t purchase packaged chips too often, but when I do I look for options that use minimal number of ingredients, are low in sodium, and free of artificial ingredients or additives. Whether I’m looking for some snack options, party foods, or something crunchy to accompany a mean tub of dip, I’d like something that is as natural as possible, minimally processed, as well as tasty and satisfying. A while back, Food Should Taste Good sent me some of their products for sampling. 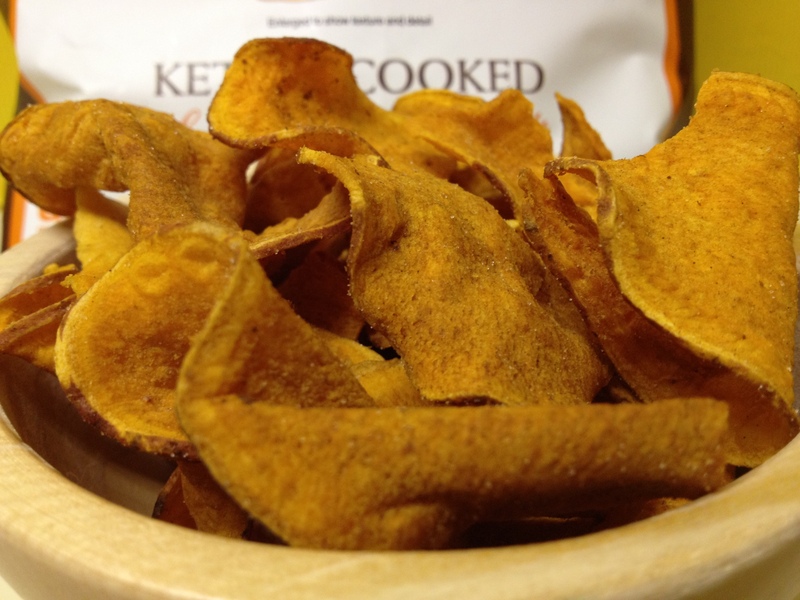 They produce all natural tortilla chips and kettle cooked sweet potato chips, that are gluten-free, kosher, low in sodium, and high in fiber. They have a nice variety of flavors for their tortilla chips. 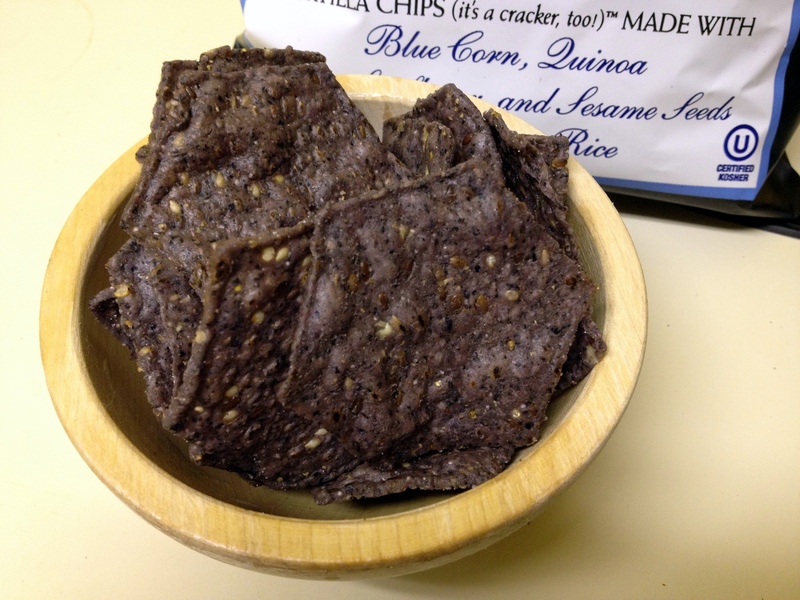 There’s multigrain, olive, cheddar, blue corn, kimchi, and a handful more. I believe most of them are vegan, except for the cheese flavored ones. For the sweet potato chips, there’s original, barbecue, salt and pepper, and salt and vinegar. What I liked about them was that they use the basic ingredients needed for each product. There’s no artificial ingredients, preservatives, or food coloring added. 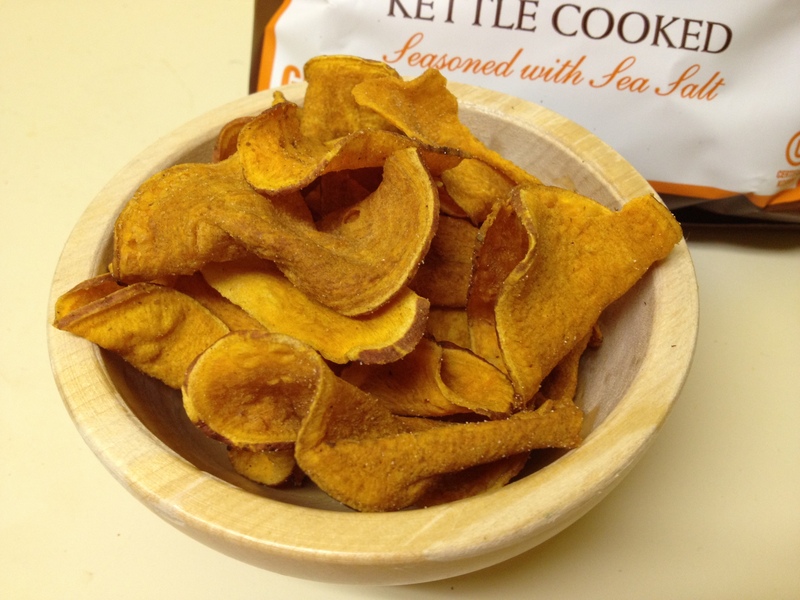 Their Original Sweet Potato Chips is simply made with sweet potatoes, sunflower oil, and sea salt. It’s kettle cooked and lightly salted. I often find many chips to be too salty and they just end up making you super thirsty. It was not the case here. When they say lightly salted, the chips are in fact lightly salt. With each chip, you can still taste the sweetness of the potatoes. Similarly, the ingredients of their tortilla chips are all recognizable, nothing foreign or cryptic. They all basically contain stone ground corn, blend of oils, and sea salt, with the addition of other natural ingredients depending on the flavor. 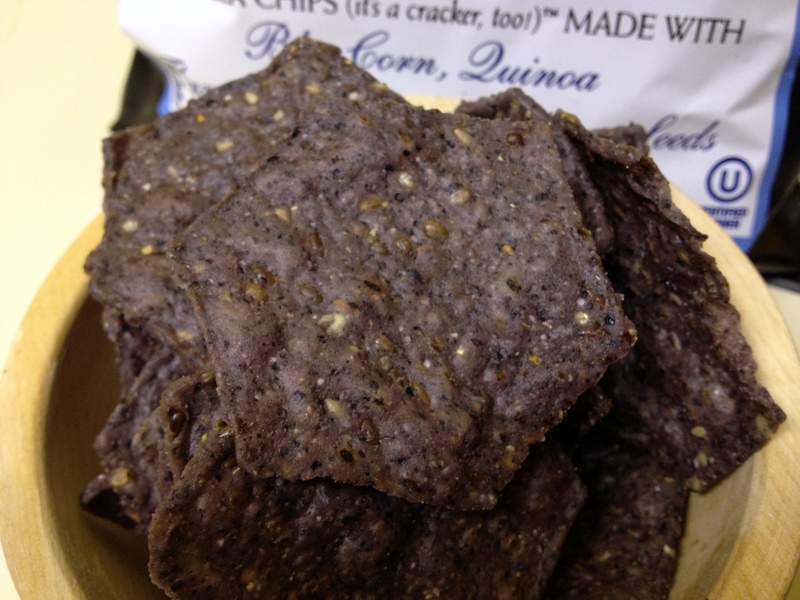 Their Blue Corn chips are made with organic blue corn, along with flaxseed, sunflower seeds, and quinoa. Not too salty either. Flavorful enough to enjoy alone or with hummus or dip. They also make a nice crunchy topping for a salad or side dish. They have many more flavors, but here are two more worth trying. If you’re looking for something savory and spicy, they have a Jalapeño option that would pair well with salsa or guacamole dip. For a sweet and savory option, there’s a Chocolate flavor that’s made with semi-sweet chocolate that could be incorporated into a dessert. Disclaimer: The products were provided for sampling by Food Should Taste Good. No other compensation was made. The post was written by LookyTasty and all opinions expressed are solely mine.